Made by Momo: Episode 61-Notecards for Kids! Today I made a video about Notecards for Kids! My mom used to put these kind of notes in my lunchbox, backpack, or bedroom. They meant a lot to me and thought I would share some ideas with you! So here is my video of my notecards and I hope you enjoy them! 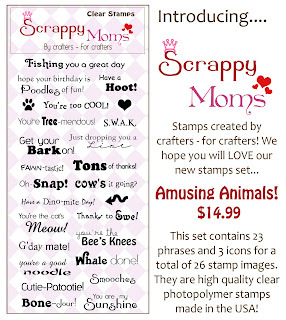 Please hop on over to Scrappy Moms after the video and follow their blog, I really want to show them some support!!! Thank you guys! super cute cards, cant wait to get my set! Super cute!!!! I love the stamp set!! TFS!!! Love these little cards and the sentiment stamps!! I just love your designs, and visiting your blog. I am doing my first give away on mine, so if you like Burger King, come on over and enter. The prize is a $5.00 gift card to Burger King. Thank you for letting me visit. These are just super cute!!! Love everysingle one!! And the stamps are great!!! So absolutely over the top! This is a great idea! I'll have all summer to work on my stash for my kids before school starts. 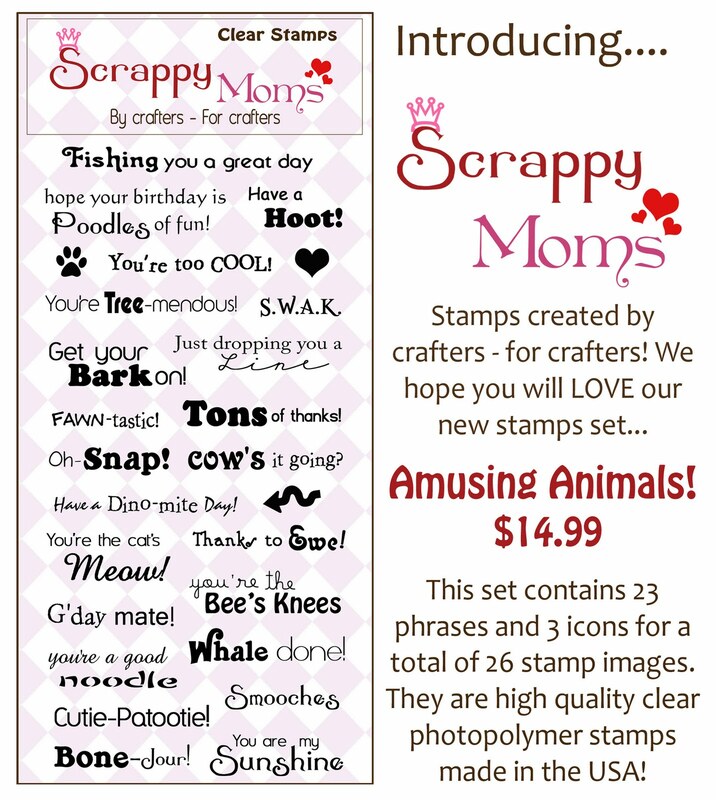 Create A Critter is perfect and I'm ordering those stamps! Such cute note cards. I love making little cards just to hand out or to give as a gift set. Thanks for the inspiration. These are so adorable! I can't wait to give my daughter cards like these when she is old enough. I so love these!!! I like to put cards in my kid's lunches too ;) I don't think these are "simple" they are colorful and fun!! I love these cards momo! So gorgeous! OMGOSH!! !the stamps are super cuterz!!! Love the puppy, the penguin, the dino AAyyy LOVE IT ALL. Great job and yes those little notes will put a smile on anyone's face. TFS xoxo Like always ur awesome. Wonderful video. Love all the cards you made and the new stamps. I'll have to make that my next purchase. Momo - I mentioned before - but I love your adorable cards, So glad I am a follower! By the way - I left you an award at my blog for all your inspiration you give! 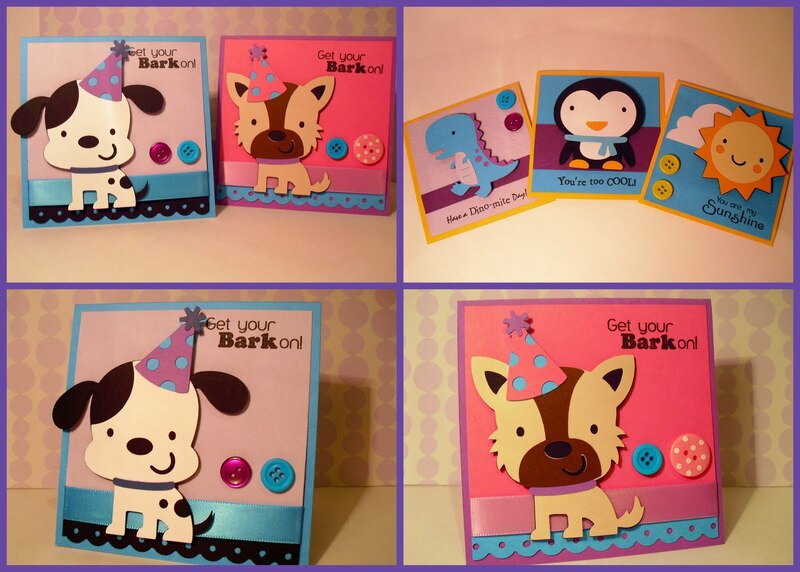 Momo, Love your little cards, they are so super cute. I am headed over to check out the stamp set next. I love the create-a-critter cartridge. Those cards are just adorable!! I so need to get these stamps. You are such an Mari, I just love your blog and you give me such great idea's! I have a couple of new blog awards for you. I'm sure you can find some amazing crafty people to share them with! Grab them from my blog! They are all super adorable! Great job! I enjoyed you blog hop the other night. I will be sure to watch out for the next one. Very, very cute: ) Loved them all. Hop over and recieve your award. One was given to me and I want to give one to you! These are super cute and I love those sentiments too. Oh Momo! these are so adorable. I love everything you make and i love your videos. Thank you so much for sharing! so where can you get cute face stamps at?